The desire to compete is a driving force for many of the athletes who decide to put on a pair of gloves and step into a cage. Bill Algeo is no different. After wrestling in high school, “El Senor Perfecto” Algeo needed a different release because he was not able to continue wrestling in college, which happened to have one of the greatest wrestling teams of all time. That college was Penn State. Algeo did not love MMA before he started training. In fact, he had no intention of fighting after his wrestling career. He did watch a little bit of The Ultimate Fighter but mostly thought they were muscle heads who thought they could fight. But needing an outlet to compete in, Algeo found an MMA gym near where he grew up in Delaware County in Pennsylvania. He liked jiu jitsu because it was the closest sport to wrestling and he liked that it had tournaments that were structured similarly to wrestling. It was after a few tournaments that he decided to take a fight. The featherweight went from not having much knowledge mixed martial arts to it becoming his life rather quickly. 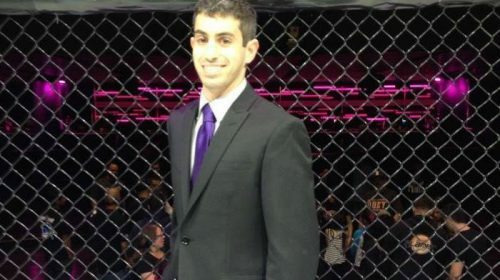 Now the 28-year old (he will turn 29 the day after his upcoming fight) owns his own gym, Algeo MMA and Kickboxing in King of Prussia and has a pro MMA record of 9-3 and has also competed in professional Muay Thai bouts. Algeo’s teaching career started when he moved to Penn State’s main campus, at the time someone found out he was a purple belt in jiu jitsu and asked him to teach at their gym. Now he balances teaching and fighting, a balance which is hard but not as hard as it sounds. Teaching has helped him grow as a fighter as well. Not only has he learned from teaching and training but he has learned from facing some of the toughest featherweights on the east coast. 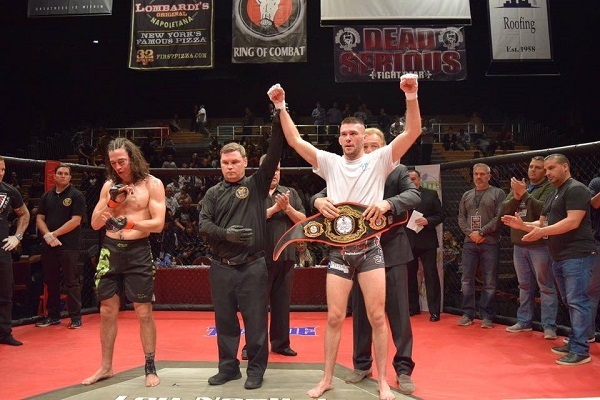 Fighting for promotions such as CFFC and Ring of Combat, El Senor Perfecto has faced the likes of Shane Burgos, Jared Gordon and Jeff Lentz. Though he lost to Burgos and Gordon, Algeo believes they were good experiences for him. “I’m here to fight, I’m here to fight the best guys, regardless of how they went, I’ve lost to two UFC fighters, current UFC fighters. Of course it’s going to help me get better it’s made me realize, one, I’m right there but two I do have somethings to improve on and that’s all I’ve been working on, whatever I need to do what I think I have to do to get better. Algeo was supposed to make his return to the cage on March 2 to defend the Ring of Combat featherweight title but his opponent, Tevin Cooke, pulled out minutes before the fight. Senor Perfecto, was not and is still not happy with Tevin Cooke, or as he now calls him, Tevin Shook. Though this was the first time the fight was cancelled minutes before it was supposed to happen but it wasn’t the first cancelled fight in his career. According to Tapology, five fights have been cancelled in Algeo’s career do to circumstances beyond his control. Because of this, Algeo said it’s hard to get excited about a fight until he is in the cage with his opponent. 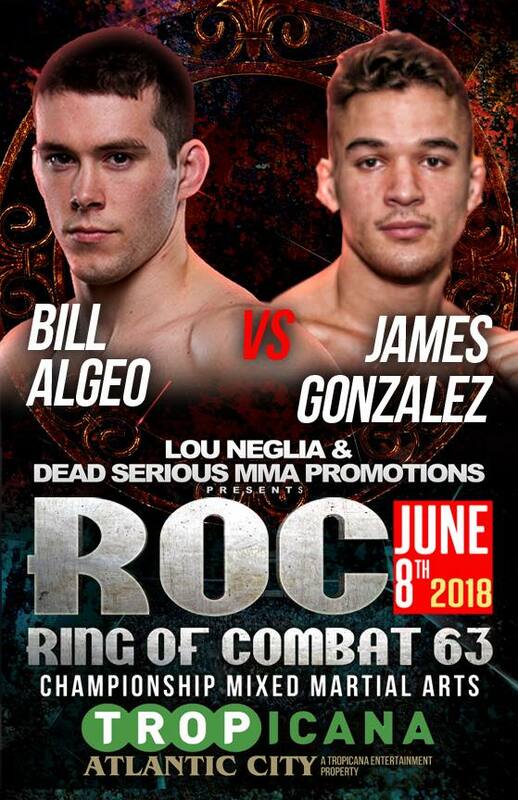 But he doesn’t think this will be a problem with his current opponent at ROC 63, James “Speedy” Gonzalez. Though he did say the same thing about Tevin Cooke. As he mentioned, Gonzalez is an experienced opponent, he has a record of 4-2 with a win over the previously mentioned Cooke. 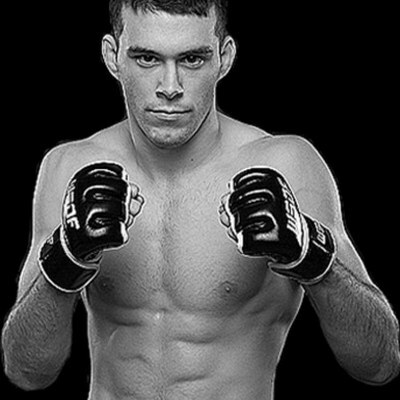 The only two losses Gonzalez has are against Mike Trizano who is competing on the current season of The Ultimate Fighter and picked up a win (only one of his fights have been shown so far). Algeo has respect for him but believes he is superior wherever the fight might take place. And he has a very simple message for his opponent.